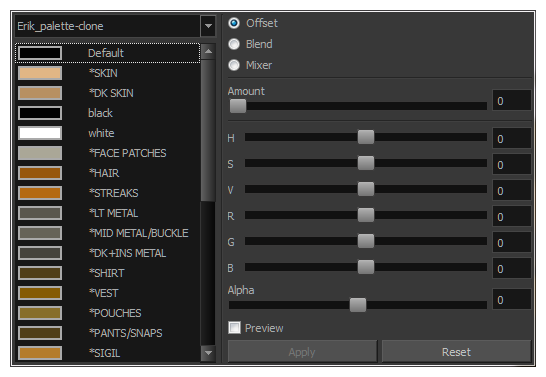 You can use the Tint Panel dialog to offset, blend or mix all the different colour swatches in a palette simultaneously. 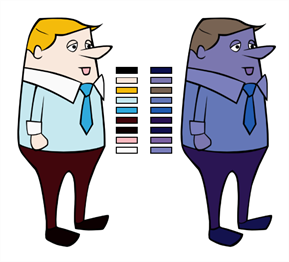 This can be useful if you want to give a cloned palette a different tint, for example to make a night-themed version of a character's master palette. 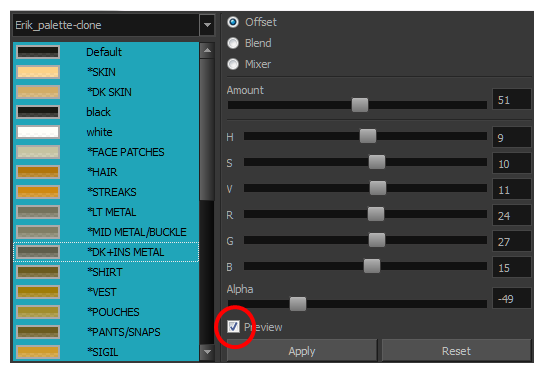 In the Palette list, select the palette you want to tint. Select one or more colours to modify. You can select all your colours by pressing Ctrl + A (Windows/Linux) or ⌘ + A (macOS).